BLUEBERRY OAT BREAD — Fresh blueberries and rolled oats make this hearty loaf of bread perfect for breakfast or afternoon snacking. I love having blueberries on hand to add to my smoothies and cereal, but I often find myself needing to use a handful of them up before they go bad. 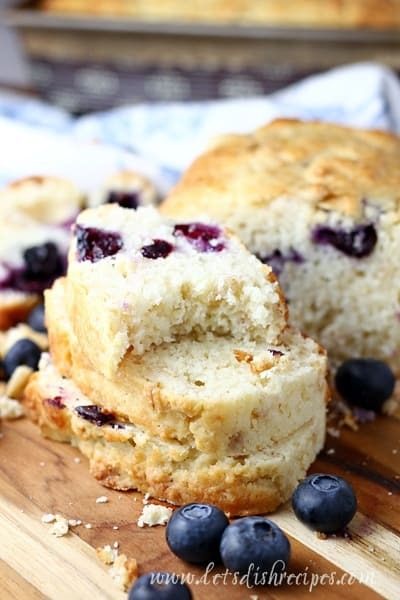 This Blueberry Oat Bread is the perfect way to do just that! This is one of those simple but delicious recipes that uses ingredients you probably already have on hand. All you need is a cup of blueberries for a wonderful loaf of homemade bread. 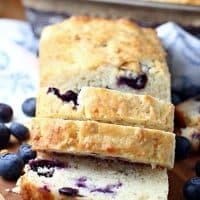 And this is such a wonderful basic quick bread recipe, I’m sure you could switch up the blueberries with other berries and it would be just as good. I really love the addition of oats to this bread. They make it extra hearty and give it a wonderful texture. 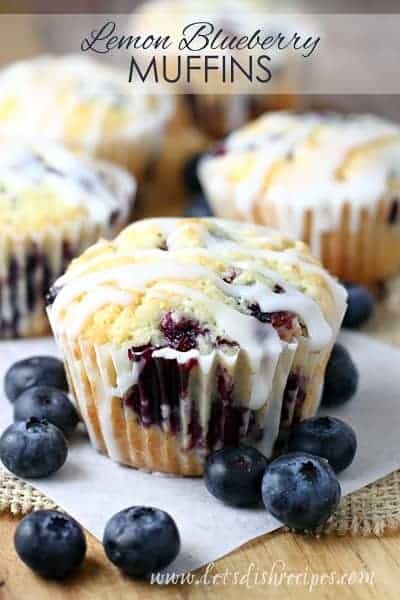 But my favorite part is that it’s bursting with blueberries in every bite! I highly recommend eating a thick slice of this bread while it’s still hot from the oven. It’s even better slathered with some soft butter or homemade jam. 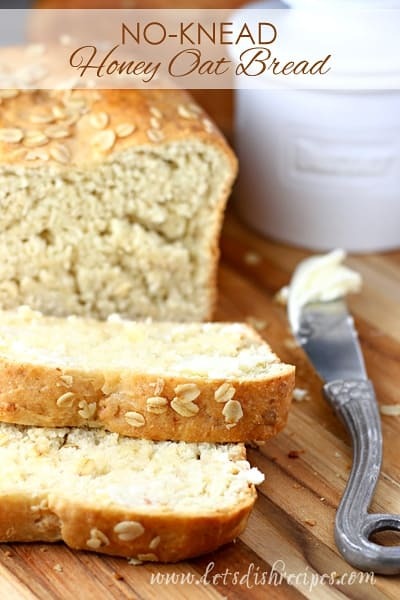 This bread is great for breakfast and after school snacking. My kids loved it as much as I did. Let’s just say it disappeared in a hurry! Although I haven’t tried it, I suspect the batter would work well for muffins, and you could certainly bake it in several smaller loaf pans. You could even add a powdered sugar glaze for a hint of sweetness. No matter what shape you bake your blueberry oat bread in, it’s going to become one of your favorite ways to bake with blueberries. 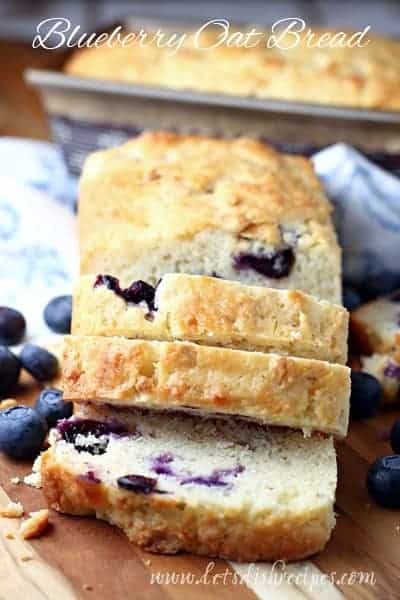 Be sure to save this Blueberry Oat Bread recipe to your favorite Pinterest board for later. Preheat oven to 375 degrees. Butter and flour a 9x5 inch loaf pan. 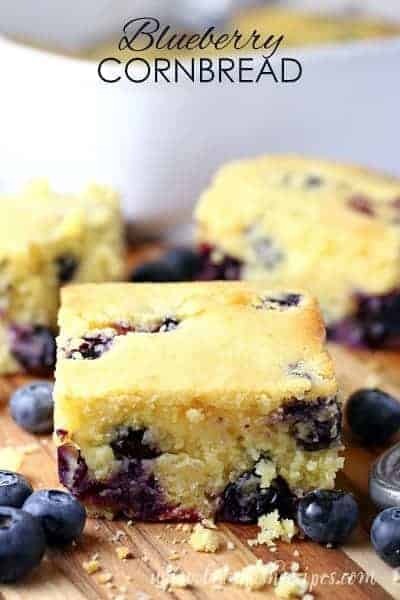 In a small bowl, toss blueberries with 1 tablespoon flour. In a large bowl, combine 2 cups flour, sugar, baking powder and salt. In another bowl, whisk together yogurt, eggs, oil and vanilla. Fold into dry ingredients. Gently stir in oats, followed by the blueberries. Batter with be thick and sticky. Spread mixture into prepared pan. Bake for 50-55 minutes until golden brown and a toothpick inserted comes out clean. Remove to a wire rack to cool for 10 minutes before turning onto a wire rack to cool completely. So very tasteful and frugal ! Thank you, pinning !